Detail of a wall that shows the extent of damage on buildings in Mostar, Bosnia-Herezegovina. Buildings were marked block by block depending on which faction were in control of that area of the city. 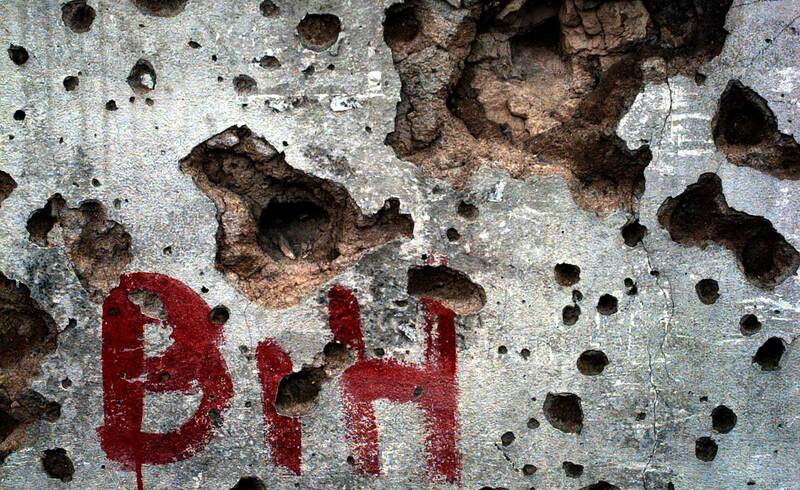 The BIH stands for the Bosnian army.